The biggest stage in all star cheerleading is in the heart of Dallas, Texas where the NCA All-Star National Championship challenges the best teams in the business. The World Cup Shooting Stars are the reigning champions from 2016, and are the sweethearts of the Level 5 Large All Girl division. Competing in that very same division, Maryland Twisters F5 also have their hearts set on the title. They are the 2016 World Champions and have been climbing the ranks each year. Watch this Varsity TV original 2 Episode film to follow the teams on their journey to the title at NCA All-Star Nationals 2017! 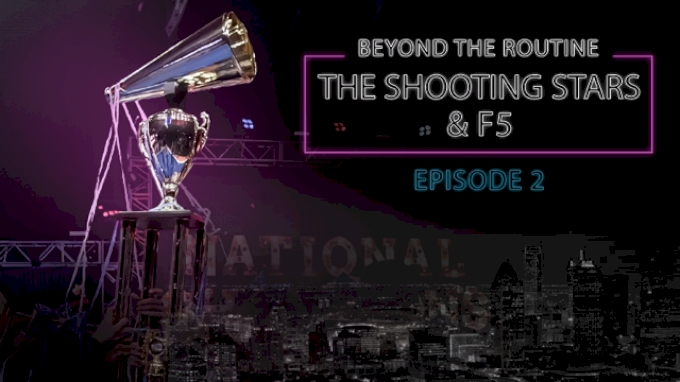 Watch the Shooting Stars and F5 compete on the final day of NCA All-Star Nationals! Both teams are putting all that they have on the mat with hopes of hitting a zero deduction routine!